Maison du Prix Wines was launched by Danielle Price, a wine industry veteran with more than 20 years of experience, as a trusted source for personal friends and industry colleagues to provide access to a highly curated and constantly changing selection of the highest quality fine and rare wines. Word quickly spread and we are truly honored and privileged to have thousands of customers around the world. Whether you're looking to buy a special older bottle or case of wine, or are seeking to sell all or part of your wine collection, we are here to assist you. Welcome to Maison du Prix Wines! After 14 years building and managing two of the largest and most diverse wine programs in the world, Danielle is a leading expert on fine, rare, and collectible wines as well as high quality every day wines. 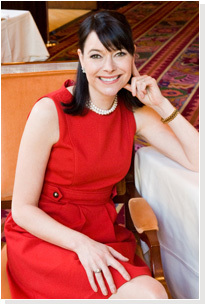 Most recently she spent 7 years as the Executive Director of Wine for Wynn Resorts (NASDAQ: WYNN). At Wynn, she built and oversaw a $42 million a year wine operation with a team of 24 world class sommeliers and wine managers servicing 29 dining outlets, 11 bars, 5 nightclubs, room service, special events, and banquet operations throughout 4 resort properties in Las Vegas, Nevada and Macau, China. Price's responsibilities included creating wine lists throughout the properties, training resort staff, and managing all wine operations including developing and maintaining the onsite wine storage facilities and back end systems & procedures. Prior to Wynn, Danielle spent 6+ years as the Director of Wine for the Smith & Wollensky Restaurant Group (NASDAQ: SWRG) where she established and ran the corporate wine program during a time of hyper-growth for the company as it expanded from 11 to 17 high-end dining outlets under 8 unique restaurant brands generating more than $30 million in combined annual wine sales. She is also the co-founder of Coup de Foudre, a Napa Valley wine producer. Over the years, Danielle has been featured in prestigious publications including Food & Wine, Robb Report, Wine Spectator, Wine Enthusiast, Vegas Seven, Las Vegas Review Journal, and Las Vegas Sun News. She has lent her time and expertise to charitable organizations including James Beard Foundation, St. Jude Children's Research Hospital, and institutions including The Golden Door, a health and wellness resort that promotes healthy living, wellness and mindfulness. Today, Price is a major player in the global wine industry having cultivated relationships with top wineries around the world and a coterie of highly regarded and trusted collectors. She continues to taste through and buy hundreds of current and older vintage wines each year and brings her passion and years of knowledge and expertise to offer you a highly curated selection of the world's finest wines at Maison du Prix Wines.